I saw this fun and easy way to make ornaments on Pinterest a couple months ago. Get your Christmas cookie cutters out and try it out! This is a fun activity to do with your kids or grand kids! Make sure to not let them touch the metal ornament, very hot when you take it out of the oven. 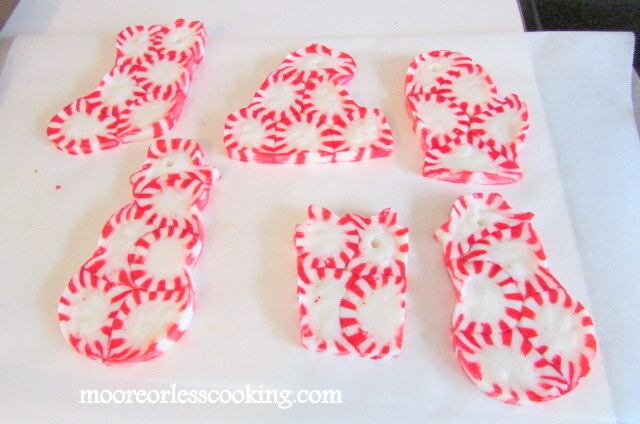 What you will need to make these ornaments is a bag of peppermint candies (unwrapped), Metal cookie cutters, PAM spray, cookie sheet, and parchment paper, cooling rack, spatula and an oven. 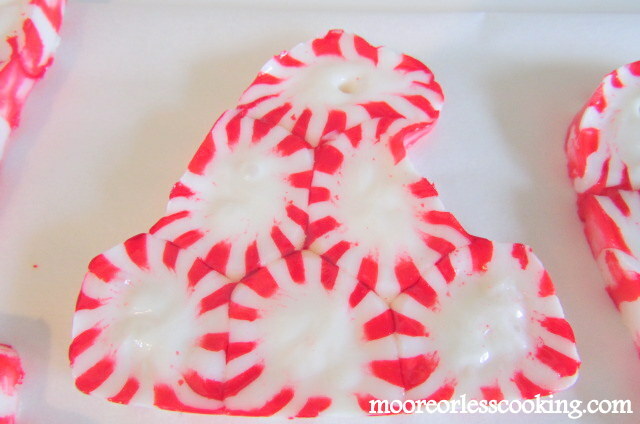 I found that using cookie cutters with a minimum amount of detail worked the best when sliding the peppermint ornament out to cool. Spray cookie cutter with PAM spray. Place on baking sheet covered with parchment. 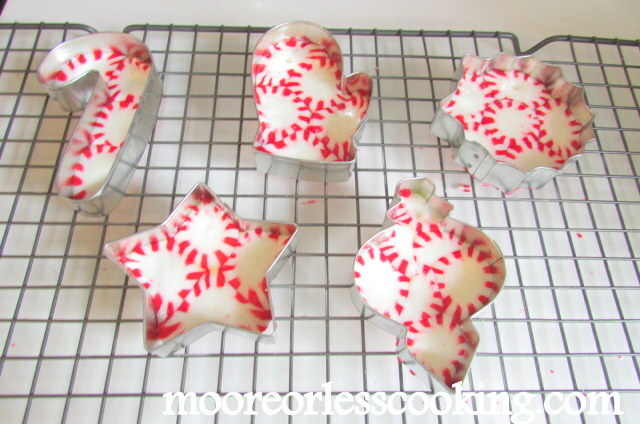 Place unwrapped peppermints inside the cookie cutter. 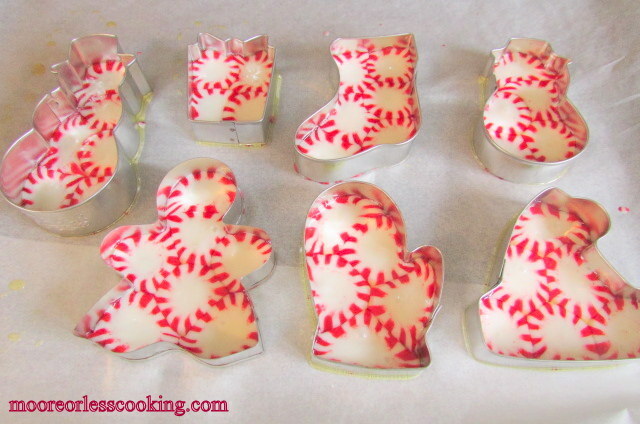 Let bake until peppermints are soft. 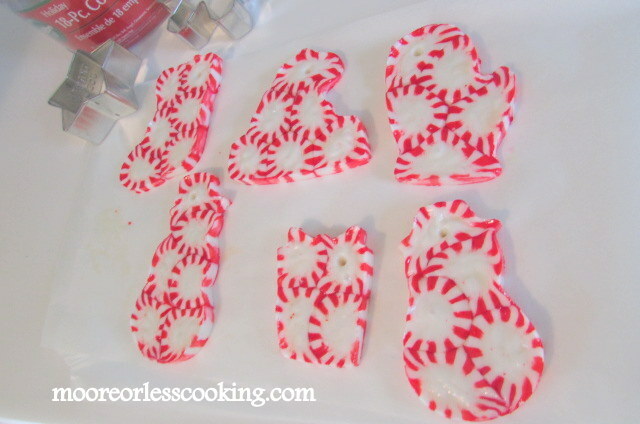 Place in a preheated oven at 300 degrees F. Check after a couple minutes, it doesn’t take long for the peppermints to get soft. With a spatula, gently place on a cooling rack. Use a toothpick to make a small hole for string or metal hanger for hanging the ornament on a Christmas Tree. 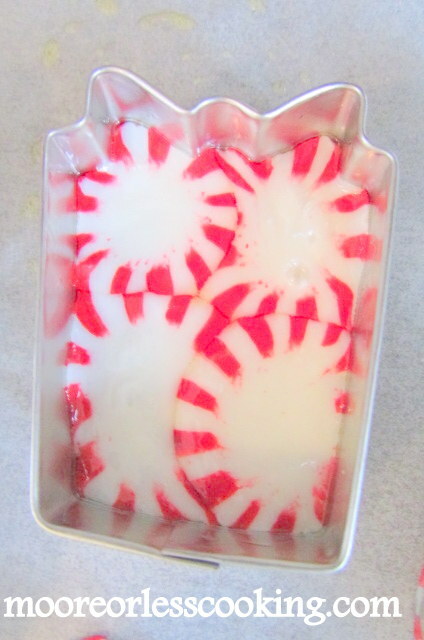 Gently slide melted peppermints out of Cookie Cutter. 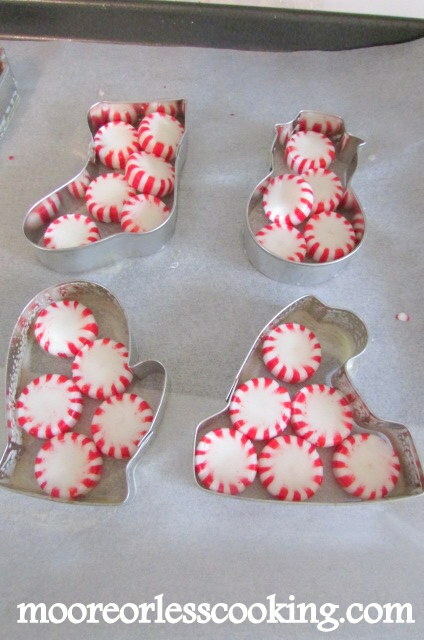 If Peppermint breaks, place peppermints back into cutter and let them get soft again in the oven. 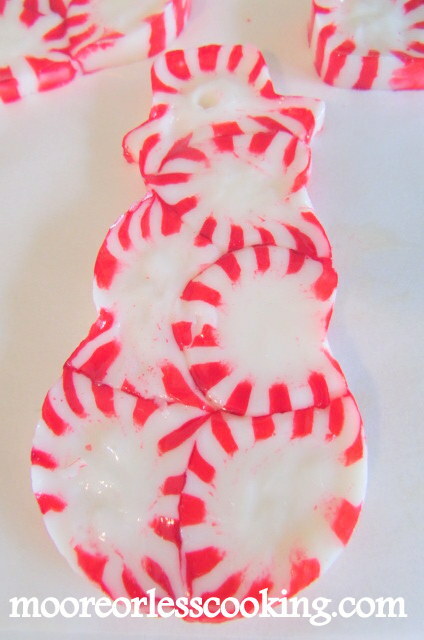 These Peppermint Ornaments are beautiful and a nice gift! Simply place an ornament hanger or a ribbon in the hole and tie on the outside of Christmas Gifts! These look like they are so much fun to make! Merry Christmas to you and your beautiful family! These are so cute Nettie. I like your idea of using cookie cutters. This is an adorable idea and will be making these with my granddaughter – maybe next year:-) Love them!